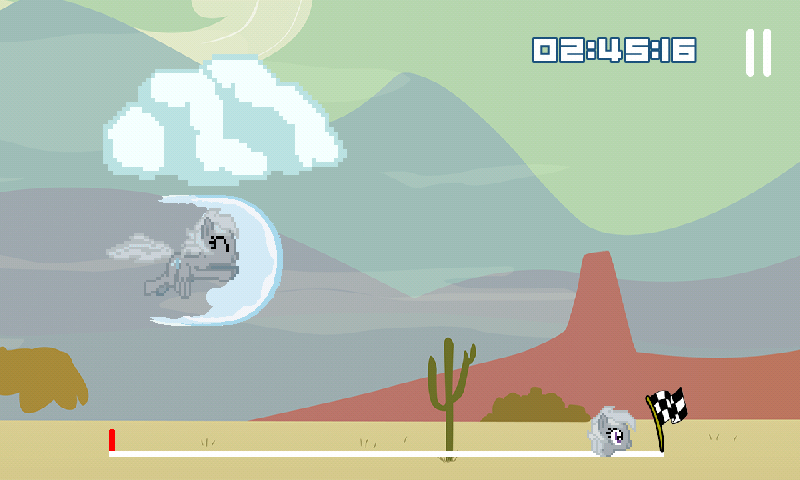 For those who need a little bit of pony on the go, Pony Rush is a simple cloud-doger game for Android smartphones. (And as clever people could figure out from the title, you play as a pony. I don't know her name.) There are two modes; an endurance mode where you fly until hitting a cloud, and a time attack mode where the goal is to reach the end as quickly as possible. There isn't a lot of depth (nor sound; put on your music library while you play, I guess), but the best scores for each mode are stored, so pursuing a new best might be a good way to kill a few idle minutes. The game ran fine on my underclocked Galaxy SII, and no special permissions are required, so it shouldn't be difficult to run the game on any decent phone.